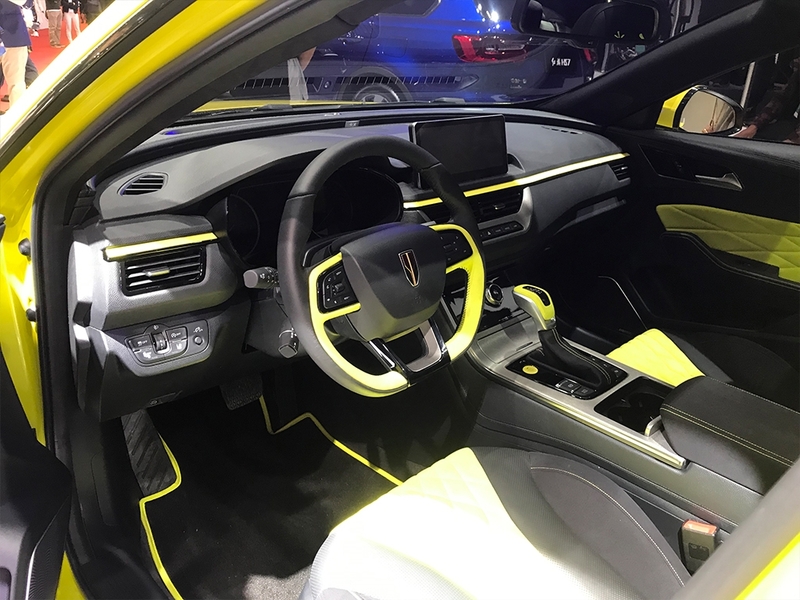 A Look At Chinese Made Limo Maker Hongqi’s H5 Sports Sedan - AutoReportNG "AutoReportNG-The No 1 Car Blog In Nigeria That You Can Trust - AutoReportNG"
The 2019 Shanghai Auto Show plays host to lots of brand names and models you’ve likely never heard of. 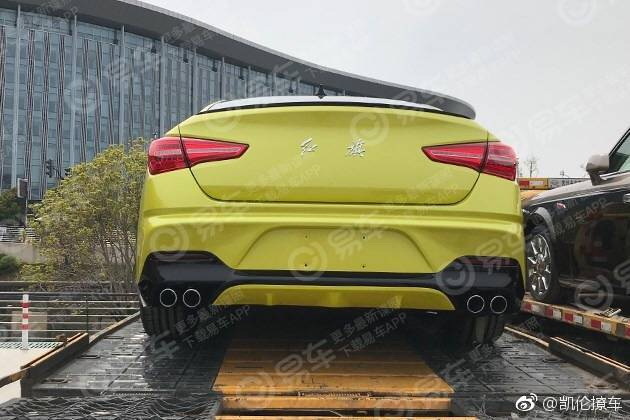 Among them, is the H5 Sports made by Hongqi, a local Chinese carmaker that’s mostly known for creating high-end limos and sedans for state officials. But as you can see, the H5 Sports is no government car. 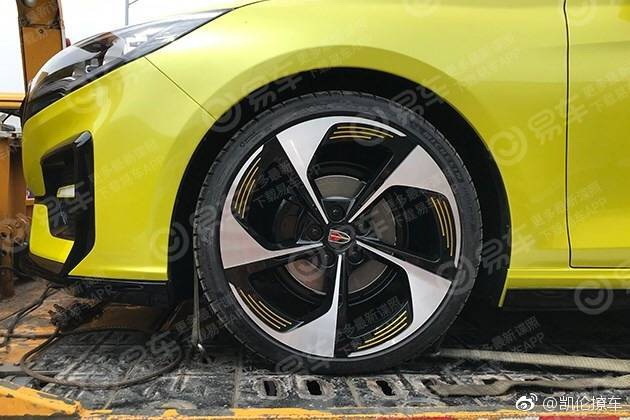 In fact, it’a mid-size sports sedan, offered as a more dynamic alternative to the regular Hongqi H5. 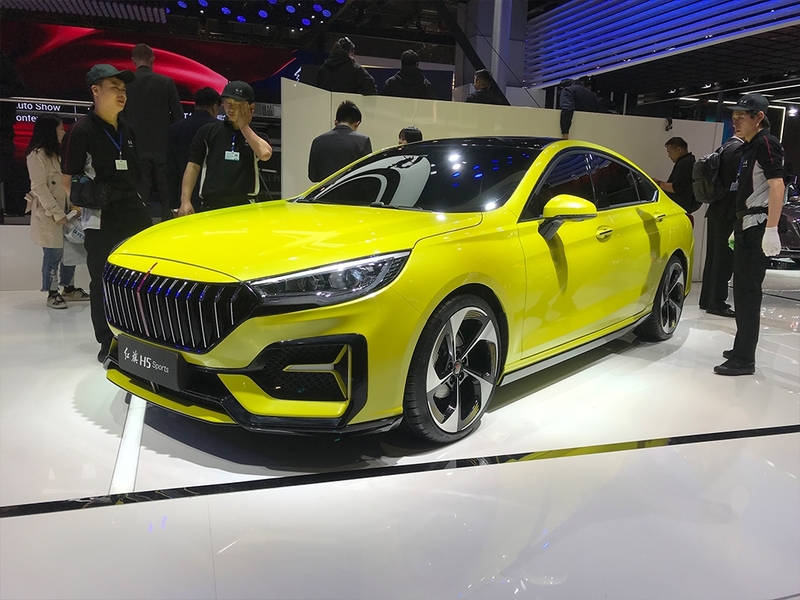 Compared to the regular model, the H5 Sports gets a bevy of exterior upgrades, including new front and rear bumpers, reworked grille, glossy black lower trim, and boot-mounted spoiler, and quad exhaust tips. 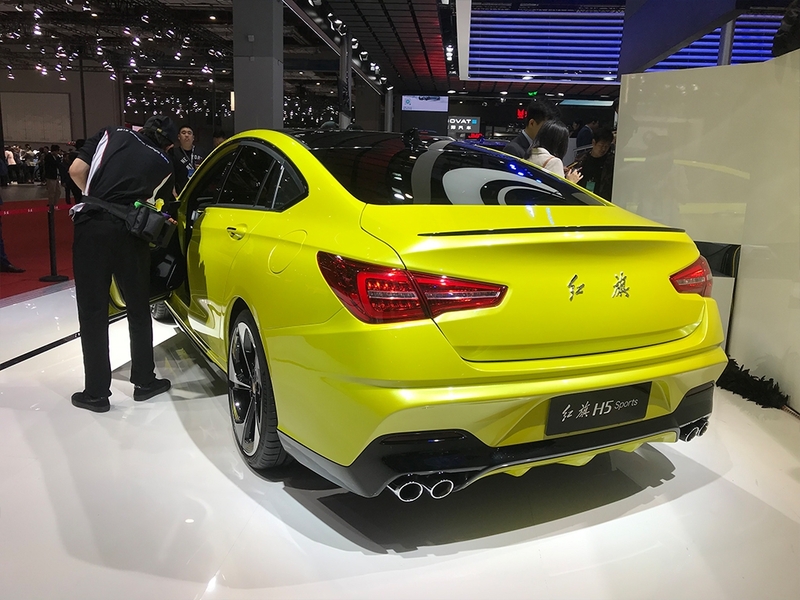 The most evident feature of the car shown in Shanghai is the bright yellow paintwork contrasted by a black roof and other darkened elements mentioned above. Power comes from a 1.8-liter turbocharged engine, rated at 178 horsepower and 250 Nm (184 lb-ft) of torque. The unit is paired to a six-speed automatic transmission, like in the regular H5, and the car is front-wheel drive. Both the H5 and H5 Sport are based on the same platform as the Mazda6. The non-Sports model is 4,945 mm (194.7 in) long, 1,845 mm (72.6 in) wide and 1,470 mm (57.9 in) tall, with a 2,875 mm (113.2 in) long wheelbase. 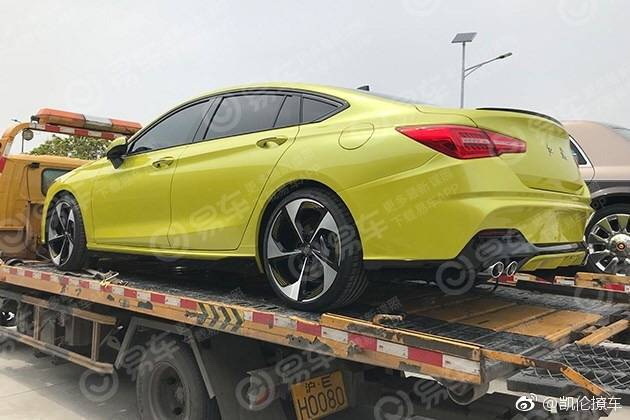 This means that it’s 80 mm (3.1 in) longer, 5 mm (0.2 in) wider and 20 mm (0.8 in) taller than the third-gen Mazda6 Sedan, whereas the wheelbase is 35 mm (1.4 in) long.